We believe that it is our responsibility to provide design solutions that are healthy, efficient, high-performing, and sustainable, while simultaneously respecting the budget and timeline of our clients. The creative process is a living thing, and it is our job to help keep it alive through the exchange of ideas and range of talents. 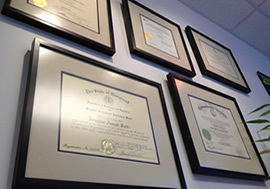 We strive to live up to a standard of excellence that was established when the doors of this firm were opened. 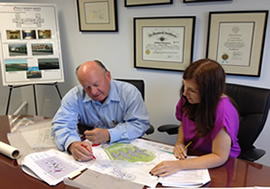 Polt Design Group, Inc. was started in 1992 by Douglas Polt in Bel Air, Maryland. Polt Design Group was founded upon the idea that good design encompasses a number of factors, and cannot be achieved by working in a vacuum. We believe that while each designer we employ brings a different, valuable view and set of experiences to the table, none are effective without the input of our customers and their staff. As our firm has grown, the basic principles used to form this company remain. Each and every job is a chance to expand upon what our clients dream as possible, and show them creative solutions and alternatives to their questions and challenges. Our diverse creative team is passionate about approaching projects with an array of solutions; a result of their varied design backgrounds. Several people on the PDG team are active members of CASHE, the Maryland, Delaware & Pennsylvania chapter of ASHE (American Society of Healthcare Engineers). We are excited to announce that one of our staff, Whitney Polt Hardesty, was again elected by the organization members to serve on the Associate Board. Members from PDG also served on the Seminar Committee to help select educational speakers for the conference based on feedback and comments from the Healthcare attendees. This past September they attended the yearly conference, which was held in Hershey, Pennsylvania. The seminar attracted healthcare members from Virginia, Maryland, and Pennsylvania, Delaware and Washington DC. This organization is a great learning tool for our firm, as each monthly meeting begins with an informative seminar, with many more during the conference. This is one of the many ways that we strive to maintain current within the ever changing healthcare industry. We had a great time with the many friends we’ve made over the years (some longer than others!) and look forward to watching CASHE continue to grow and help make a positive impact on the healthcare industry. We are looking forward to the 2017 conference, to be held in Ocean City, Maryland! Members of our staff are looking forward to attending the AIA Conference on Architecture, to be held at the end of April in Orlando this year. It is yet another way that we strive to keep on top of the ever-changing industry of design. Check here for updates as more keynote speakers and sessions are added each week!